It all started when my mum admonished us for finishing off her herbal products. She was cross at me and my sister for using up all of her neem face mask in a couple of months without letting her have a chance to even sample it. I decided to make amends by buying my mother a new face mask. But I had no time to go to the supermarket and browse through their aisles. Office and creative pursuits had left me with nothing more than a few minutes for any kind of shopping. That is when I remembered the recent Jabong.com advertisement. While on my coffee break, I quickly checked out the website to see if it could be of any help to me. The site looks pretty neat at first glance. It asks you to choose between "Shop Women" and "Shop Men" to give you relevant results. There's also a little box at the bottom right corner to save your items. 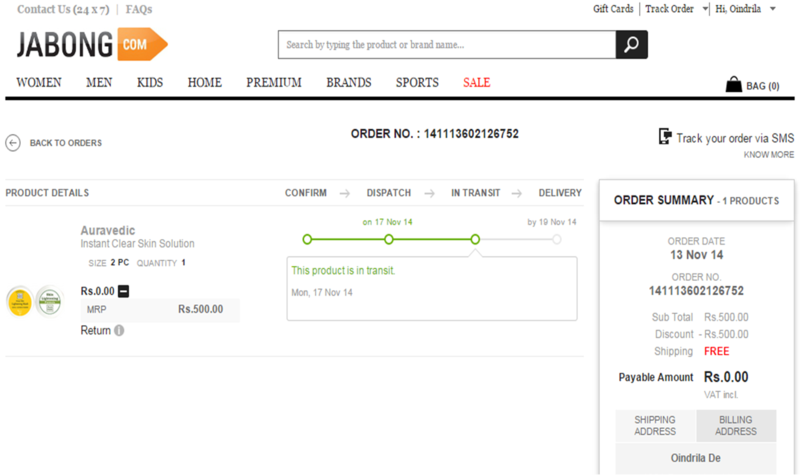 I suggest you sign up for a smoother experience on Jabong. You can either login separately or use your Facebook or Google account. 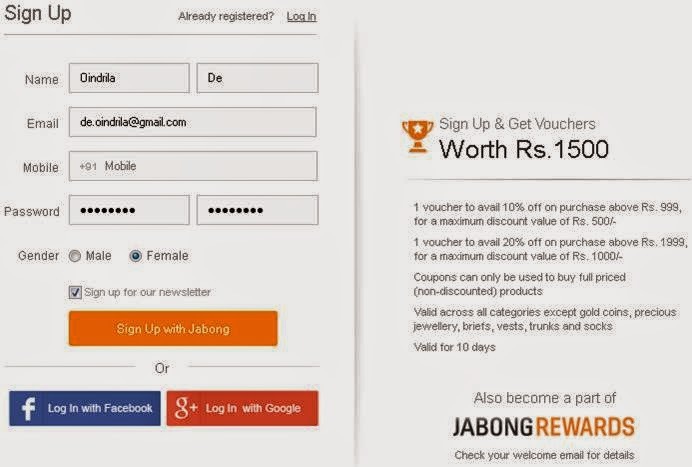 Jabong has seamless sign-on integrity with FB & Google. They instantly emailed me a couple of discount vouchers after I signed in. These vouchers have very short validity, so plan your shopping accordingly. There are some interesting discounts on the mobile app too (available on the Google Play Store). I got a Uber credit, but I can't use that as I already have the app installed on my phone (first-time discounts are of no use to patrons). Closing your order is a breeze! You can pay by cards (credit /debit), cash (on delivery) or e-gift voucher. Unfortunately, they accept only one eGV for a transaction. :-( I hope they increase the number. The tracking mechanism for your order is pretty neat. You know exactly when your item will arrive. I had ordered a relatively small pack of skin care items, but they told me it would be 4 days before my order was shipped. It would take another 2 days to reach me. I was slightly upset by the long wait. I was later informed (after my package was shipped) that my order would take longer to actually reach me. I don't know if GoJavas should be blamed for this, but I wasn't happy with the unreasonably long time this was taking. 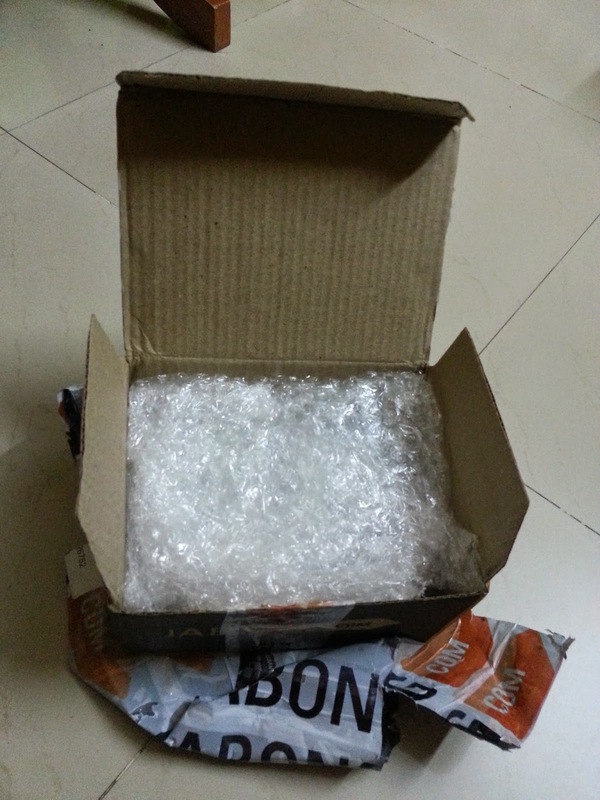 I usually receive packages from far flung areas in 2-3 days. The only good thing Jabong did was keeping me informed. That was reassuring. 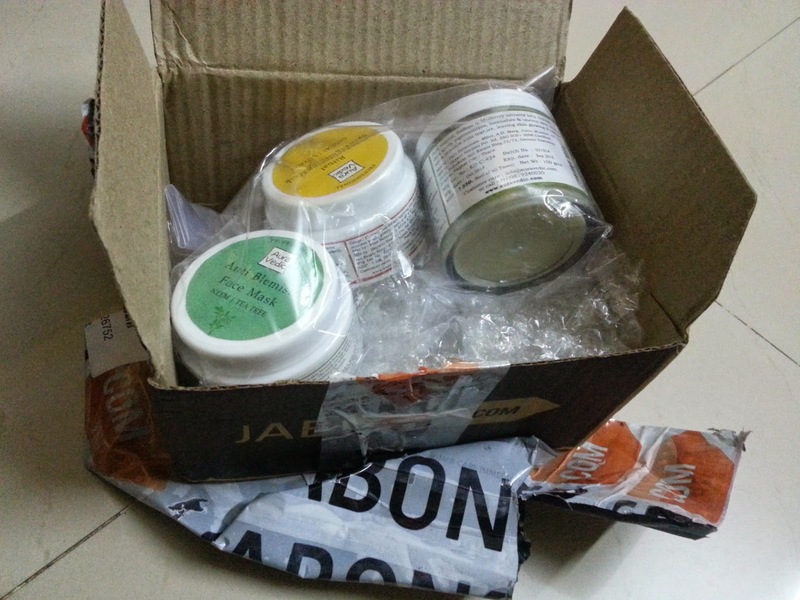 I give Jabong full marks for their water-tight packing. They also deserve praise for stocking very high quality stuff. 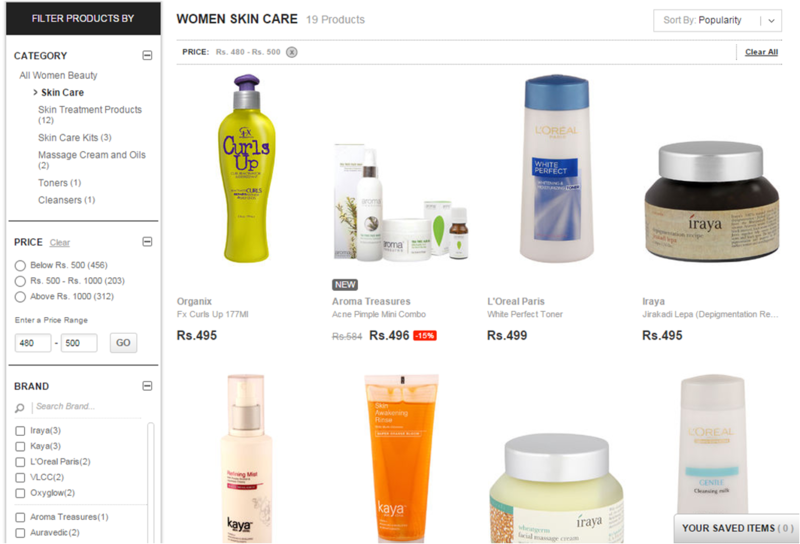 I ordered a skin care pack from Aura Vedic, and even though this is the first time I'm using this brand, I'm a fan now! All 3 of the items that arrived (2 face masks and a face cream) are organic and have not been tested on animals. I love it when brands do their bit to protect the environment and fellow beings. All in all, my shopping experience on Jabong was very quick and satisfying, thanks to their efficient categorization and useful description of all the products. However, I'd like to see them accept more eGVs per transaction and bring the delivery time down by a few days. 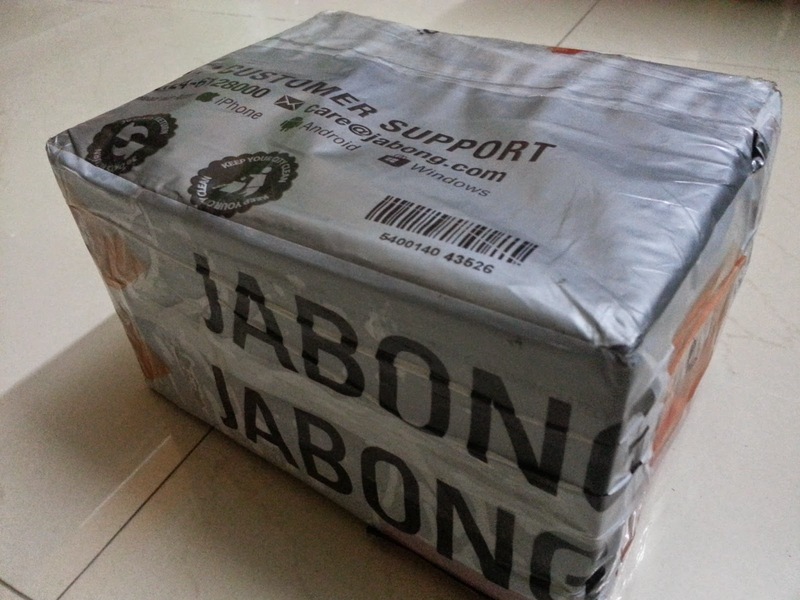 I have some inside news from Jabong. I'm only letting my loyal readers in on these secrets! Ready? There will be CRAZY DEALS and HUGE DISCOUNTS at the GOSF 2014 from 10-12 Dec. Be ready with your shopping list! You have less than 3 weeks now! The other news is about the Jabong Online Fashion Week. You must not miss this opportunity if you are a talented fashion designer, model, make-up and hair stylist or photographer. Registrations are already open for the JOFW 2015! 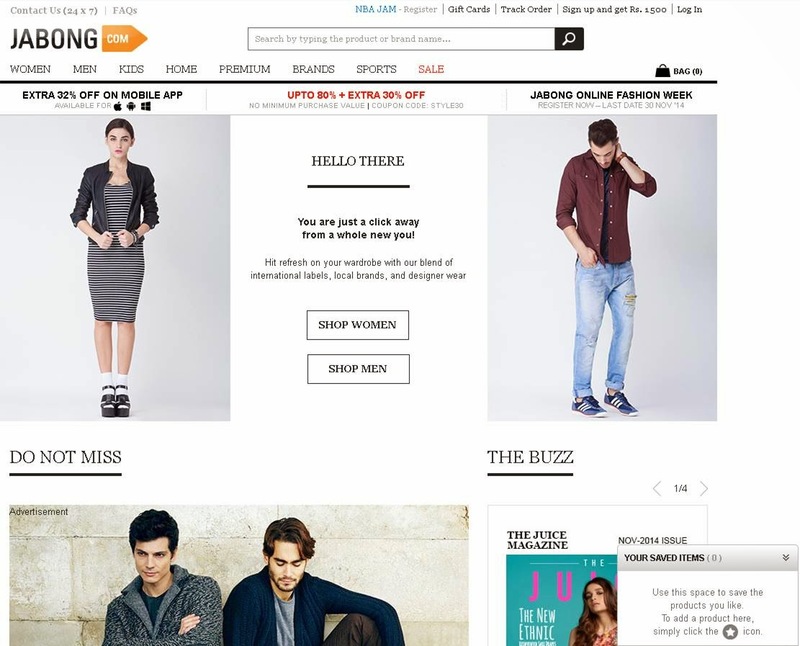 Have you shopped on Jabong.com before? How was your experience? What did you buy? Leave your answers in the comments below. hopefully My Shopping Experience on Jabong information can provide benefits for you in determining the gadgets that fit your needs in daily life. 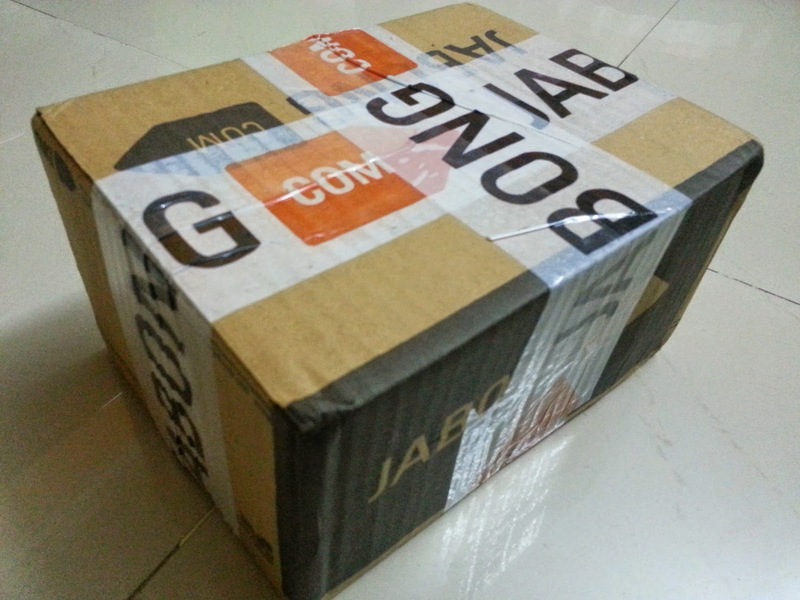 you just read My Shopping Experience on Jabong if you feel this information is useful and want to bookmark or share it please use link https://innaz2.blogspot.com/2014/11/my-shopping-experience-on-jabong.html if you want more information please search on other pages this blog.